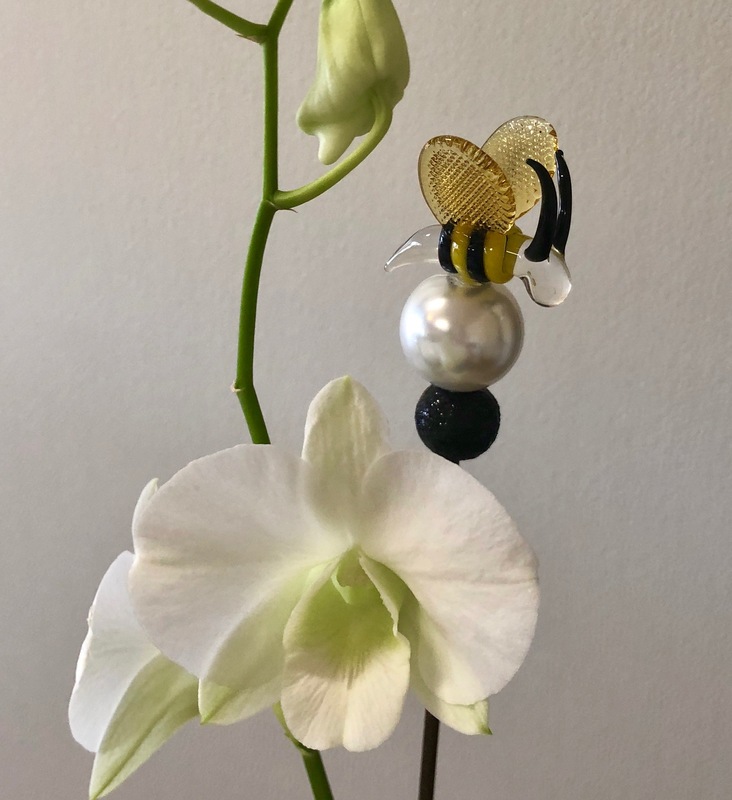 Bees will be buzzing in your orchids soon! What is more natural than bees next to flower blooms? Mother nature at work. The beautiful Botanistix bees are the work of our new glass blower. 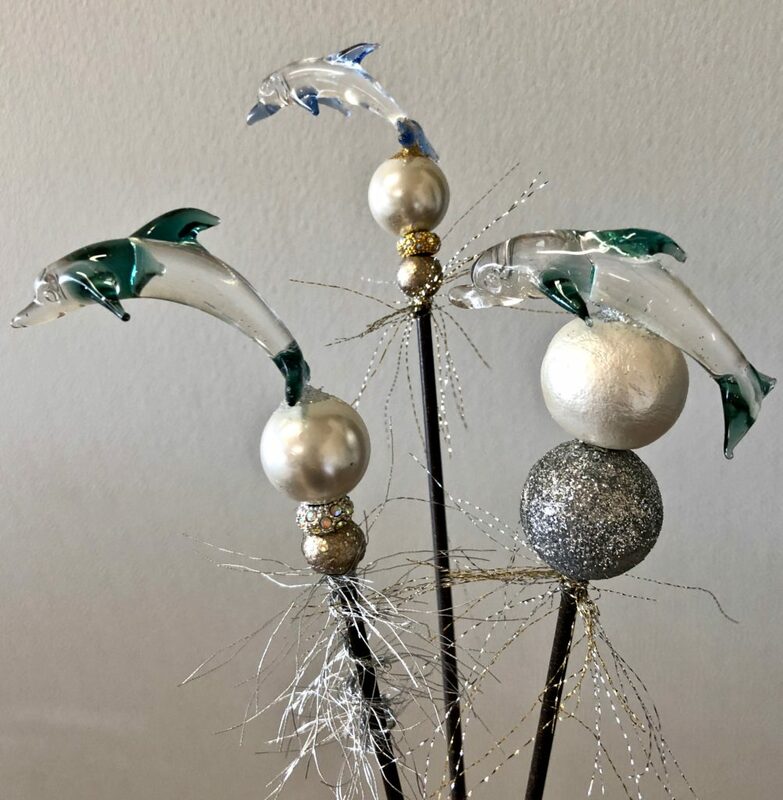 He is also responsible for the creative dolphins (2 poses- jumping up & swimming over) and very soon I will show you his very modern open weave fish done in clear & coral. He is quite talented and has been enjoying the challenge of mastering the small size required for Botanistix to look correct as the stake in your orchid plant or with flowers. If you would like to see a specific “thing” next to your flower blooms, lets talk. The annual Botanistix Open House is November 6th in Naples. 9171 Torrefino Court in TerraBella (gate code *4045) in Pelican Marsh. Whoever is able please come by, there is so much to see. The Fall dendrobiums will be in bloom in the trees, which is just an added beautiful benefit. Of course we will have tempting sips and dips. Please visit us Tuesday November 6th 11am to 5. Next PostFish & Flowers, a Perfect Match!